When you purchase health insurance, you’re seeking to cover the cost of most procedures, exams, and diagnostic tests. Even if not in full, you rely on your health insurance to reduce your out of pocket costs. However, there’s something you need to know: some medical treatments may not be covered, often because your insurer considers it a non-essential benefit. With this in mind, it’s good practice to check with your health insurance company before undergoing any procedure. This will give you a clear idea if the procedure is covered or if you will be responsible for 100 percent of the cost. Do you want 20/20 vision but don’t want to wear glasses or contacts? Lasik surgery is one way to achieve this goal. However, it’s not covered by most health insurance or vision policies. Estimated cost: While most people pay approximately $2,000 per eye, the cost of Lasik can vary from less than $1,000 per eye to more than $4,000. Are you interested in cosmetic dentistry? How about a nose reshaping? Removal of a scar? Well, be aware that they’re not typically covered by health insurance. Estimated cost: This depends on the type of procedure, with most costing $1,000 or more. For example, the average cost of rhinoplasty is more than $5,000. The Chicago Tribune breaks down the average cost of the most common plastic surgery procedures, including a tummy tuck at $5,800. While a handful of states require health insurance companies to provide coverage for hearing aids, there’s a good chance you may have to pay for some or all of this expense out of pocket. Of course, this is something you probably don’t want to do without, as a hearing loss could compromise your ability to communicate. Estimated cost: According to Healthy Hearing, hearing aids vary in price from approximately $1,000 to $4,000 per device. Since most people require two hearing aids, the cost can quickly add up. Although many health insurance companies cover bariatric surgery, such as gastric bands and laparoscopic gastric bypass, the same cannot be said for liposuction. This doesn’t treat obesity or overeating, but it can remove excess body fat and help improve your self-esteem. Estimated cost: The American Society of Plastic Surgeons notes that the average cost of liposuction is $3,200. According to the National Center for Complementary and Integrative Health (NCCIH), many studies show that acupuncture can help relieve pain associated with the neck, back, and knees (among other body parts). 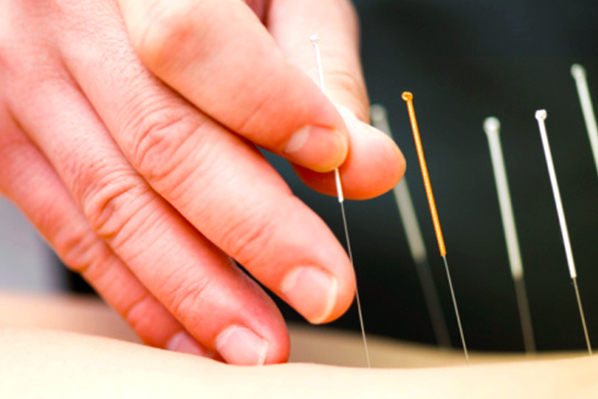 Even so, most health insurance companies don’t provide coverage for acupuncture. So, if you’re interested in this procedure, you’ll most likely have to pay out of pocket. Estimated cost: $80 for acupuncture with 1 or more needles with electrical stimulation and re-insertion of needles (via FAIR Health for a patient in Chicago, Illinois). Did you know that nearly 400,000 hair transplantation procedures were performed in 2014? Did you know that both men and women can take advantage of this procedure? Just the same as plastic surgery, a hair transplant procedure is not covered by health insurance. Estimated cost: According to hair transplant provider Bosley, the cost of this procedure ranges from $5.50 per graft to $9.50 per graft. It’s important to remember that some people require in excess of 1,000 follicular transplants to achieve the desired result. Medical expenses can quickly add up. And while opinions may vary on which procedures are “necessary” or “essential,” there may be a treatment or procedure that would make a big difference in a given person’s life. How do you pay for something that’s important to you when the costs are high and insurance doesn’t cover it? Personal loans have many uses, and medical expenses is one of them. The application and funding (if approved) process happens usually within a matter of days, and the repayment terms can be flexible. This often makes a personal loan an attractive option when you need money that could significantly improve your well being.